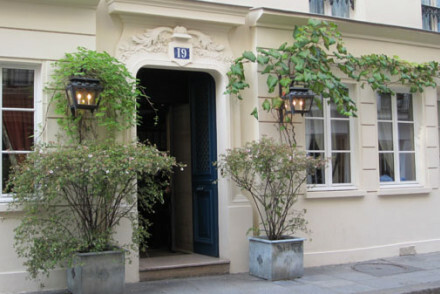 We are often asked for Parisian addresses with at least a whiff of genuine, Gallic charm and character - for hotels with Paris charm, or hotels in Paris with character. Sadly our gurus report that such hotels are a dying breed, with some of their favourites now too elderly to recommend whole-heartedly. 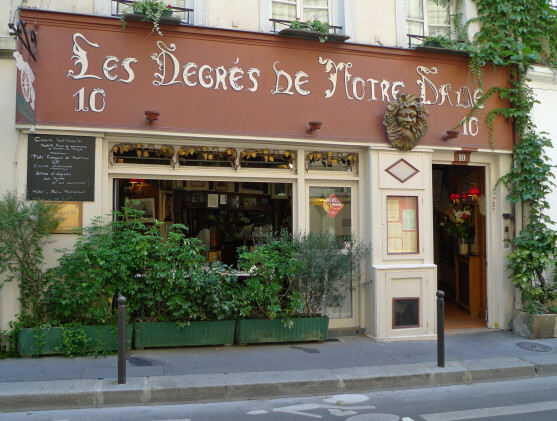 And while Paris retains its character as France retains its language, you can still see global brands creeping into the small crooked, medieval lanes of Le Marais and the raked streets of Montmartre. 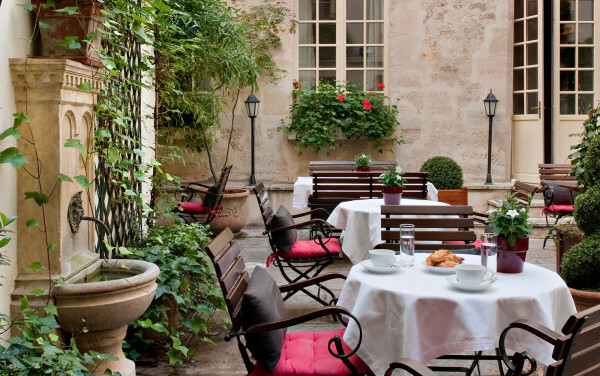 But while our gurus can't plot a guide for you through Paris avoiding sight of all Starbucks, they can still recommend some great hotels with Paris charm in their list of 10 hotels in Paris with character. 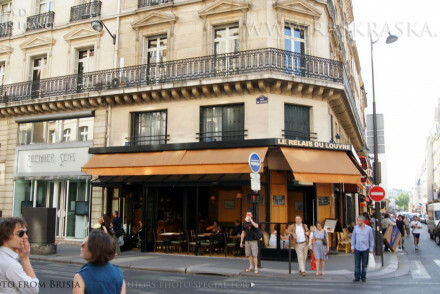 Paris has many beautiful and historic townhouses, some of which have been converted into hotels with Paris charm. 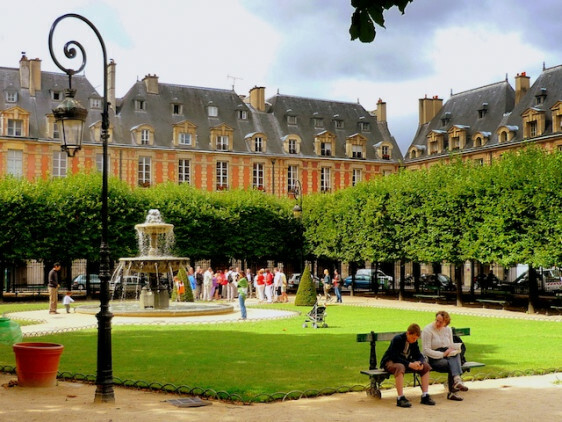 The vast squares and grand boulevards are lined with discreetly marked hotels, and even within village-y Montmartre and the medieval lanes of the Marais, which was only saved from being converted into more grand boulevards by WWI, you'll find tiny, yet charming places to stay. 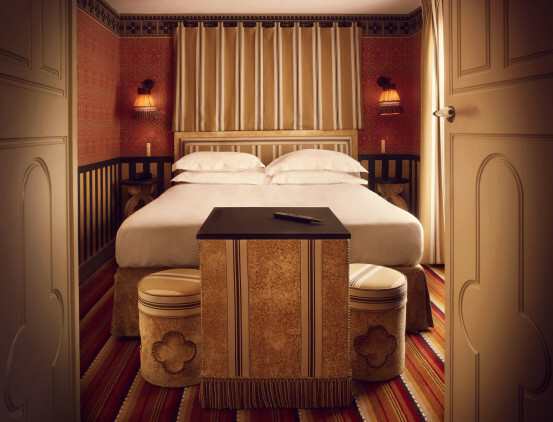 Parisian charm at its most authentic, L'Hôtel was once Oscar Wilde's bolthole in Paris. 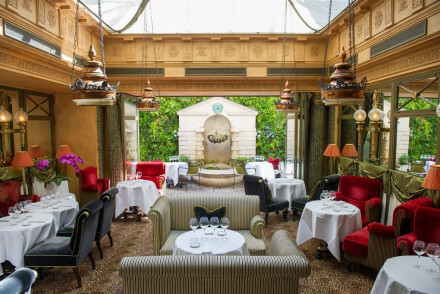 Louche and decadent in the 60s and 70s, L'Hotel has been flamboyantly re-imagined by Jacques Garcia, and its opulence has been gloriously restored. 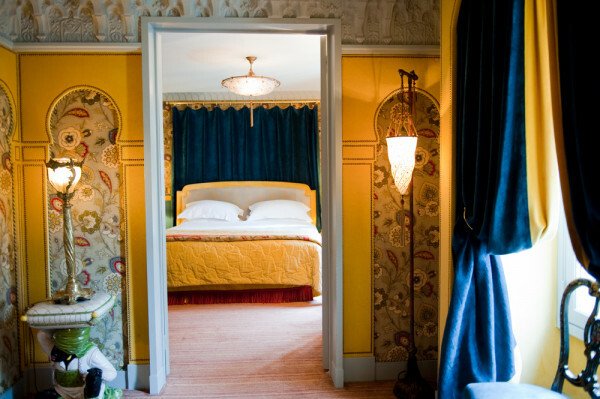 Think jewel-box rooms and themed suites - if you can bear the tristesse you can sleep in the room in which Oscar Wilde expired beyond his means, and a candlelit plunge pool. 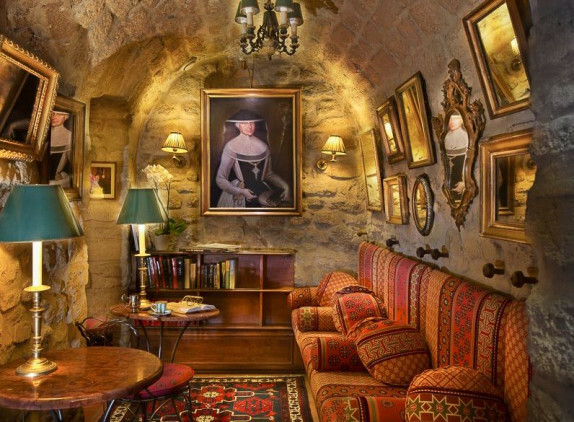 Hotel d'Aubusson predates Wilde's Paris, to the 17th Century and it offers exposed beams, huge double doors and grand proportions. Arranged around a large courtyard, this honey coloured townhouse is romantic, atmospheric and close to the river. And it's been attracting the literati and glitterati since 1690. 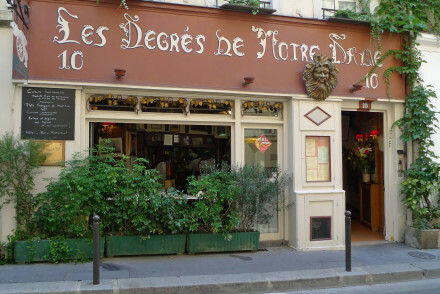 Hotel Les Degrés de Notre Dame, with its views over Notre Dame and the river, is a sought after base in the Latin Quarter. A steep staircase, decorated with murals, leads guests up to distinctive bedrooms, where exposed beams, wood furnishing and vintage decor can be found in spades. 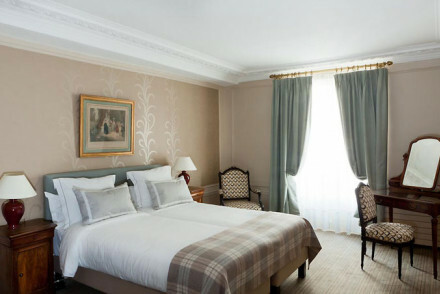 The cheaper rooms are priced from around £100 per night, so this is one of the most reasonable hotels with Paris charm, but the best room is in the attic - it's got great views and it's also suitable for families. 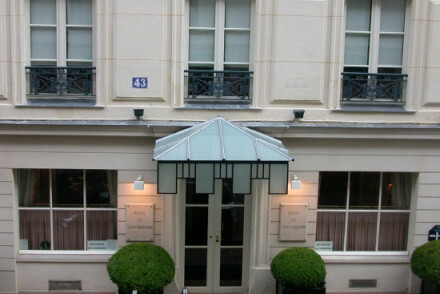 For hotels with Paris charm and a private house feel you can't do much better than the Hotel Duc de Saint-Simon in St. Germain. Plush, romantic, traditional, elegant and intimate are all good ways to describe this hotel - think overstuffed furniture and clever conceived paint effects , TVs only on request and room service instead of a mini-bar. 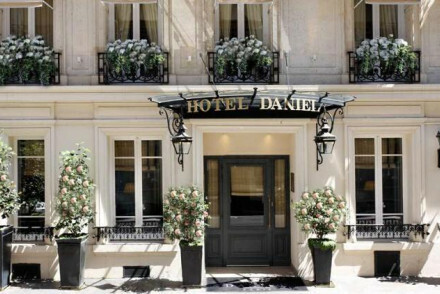 Hotel Daniel turns its back deliciously on the current trend for all white luxury. Here you'll find Khotan carpets, hand-painted and highly decorative Chinese wallpaper or toile de Jouy, silk sofas in a range of jewel box colours and plenty of handpicked Oriental objet d'art. 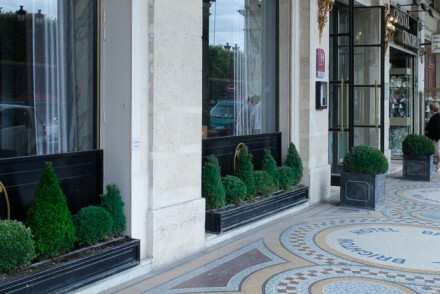 One of the finest of the hotels with Paris charm on the list. Hotel San Régis, just off the Champs Elysees is another fine example, with a neoclassical facade and more wondrously decorative wall paper. 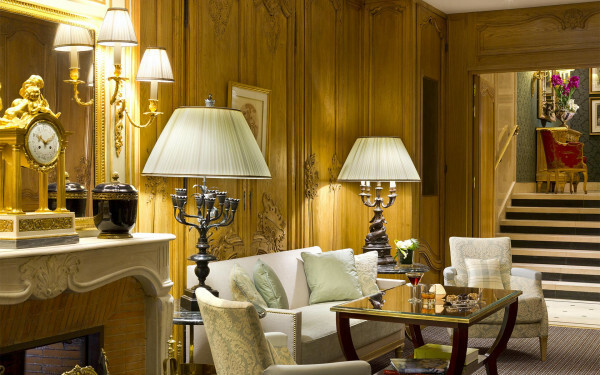 San Regis has an elegant country house feel in the heart of haute couture. Its popularity with fashionistas proves that traditional elegance and character are always en vogue. 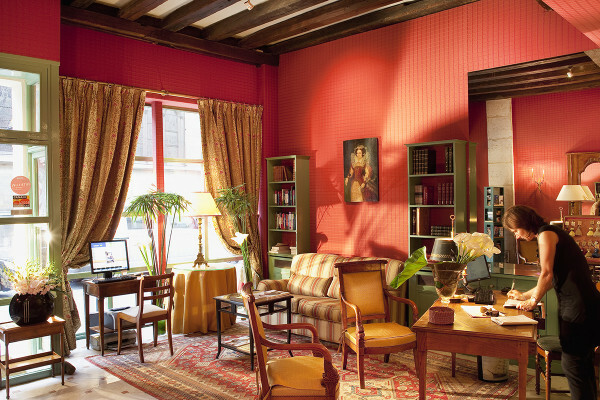 The Hotel Bourg Tibourg in Le Marais, has taken luxury in a different direction again, this time the compact townhouse has been transformed into a Moorish palace. 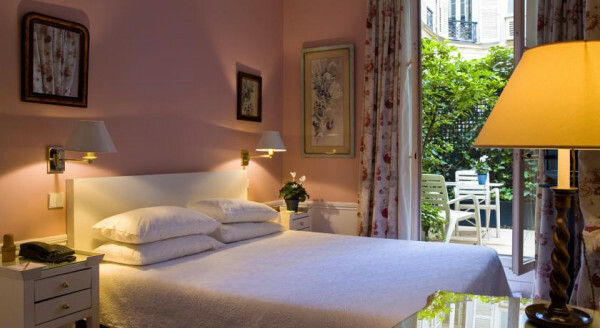 Having a charming location counts, as Hotel de Saint-Grégoire, a warmly decorated 18th Century townhouse just minutes from the Luxembourg Gardens knows. Family run, this is a cosy, personalised place where you feel every care has been taken to make this hotel as lovely as possible. 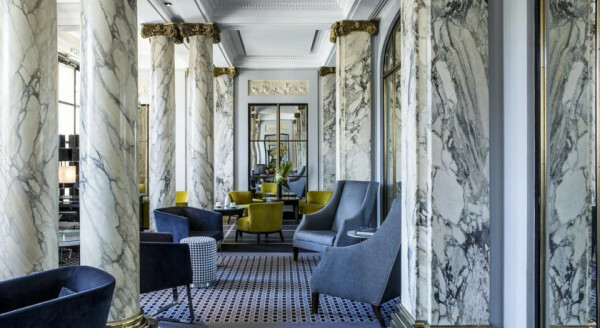 The Hotel Brighton, which overlooks the Tuileries and is about two minutes stroll from both the Louvre and the Musee d'Orsay, has the same view as the famous Hotel Le Meurice, but at a fraction of the price. Yet it's got a a quiet, B&B charm. 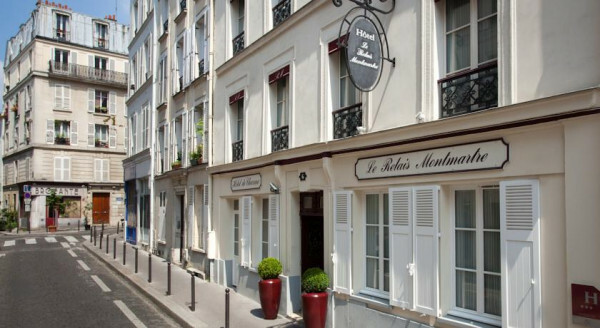 Behind Sacre Coeur, Le Relais Montmartre is one of several hotels with Paris charm in village-y Montmartre. Here chintz and dainty period furniture welcome you in to the intimate feeling hotel. A good one for romantics as well as people who want a base in Montmatre. 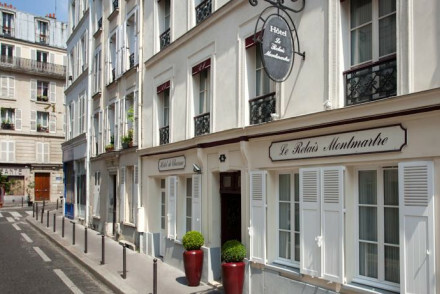 Between the Louvre and Notre Dame, Le Relais du Louvre is squeezed into an old house right on the river, with some windows within touching distance of the pinnacles of St Germain-l'Auxerrois. 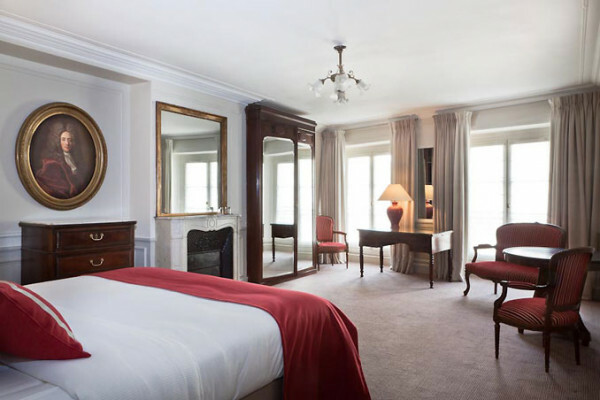 The rooms aren't large, but the family suite is very comfortable, and priced from £147 per night Le Relais duLouvre is one of the best value hotels with Paris charm. 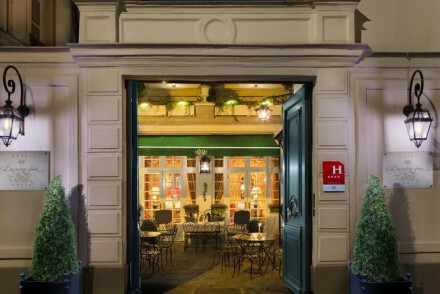 Hotel Mansart is another, priced from just £116 per night. 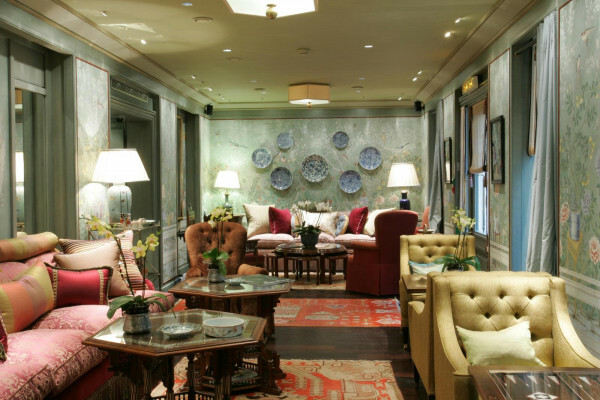 This time you're on place Vendome, and can expect individually decorated, unfussy rooms with a lovely collection of antiques. 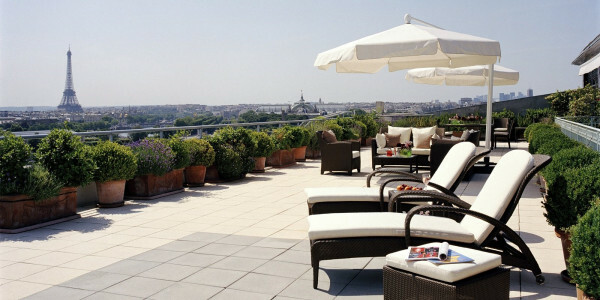 For the ultimate experience of hotels with Paris charm try to book well in advance and ask for the best rooms. 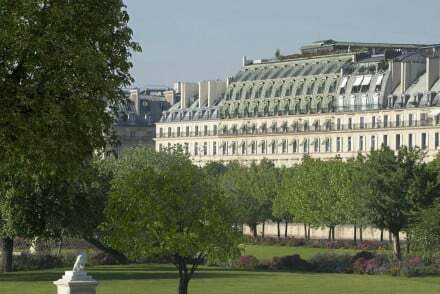 If your idea of Parisian perfection includes the best view in Paris, then the very best view our gurus know about is from the terrace of the Belle Etoile suite at the Hotel Le Meurice. 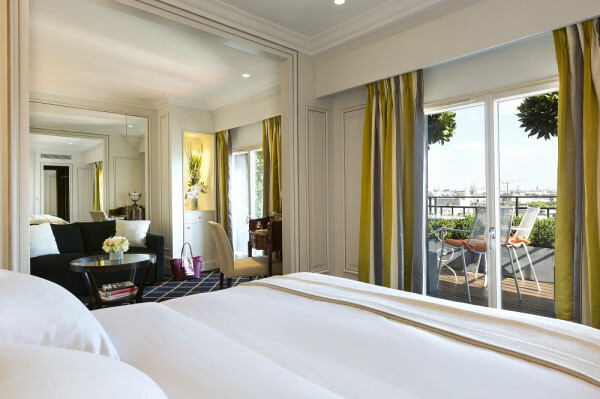 If this list of hotels with Paris charm feels a bit frou frou for you, and your idea of real Gallic character is more like traditional family-owned-and-run simplicity, then check out our guru's list of Budget charmers: Paris Budget Charm. 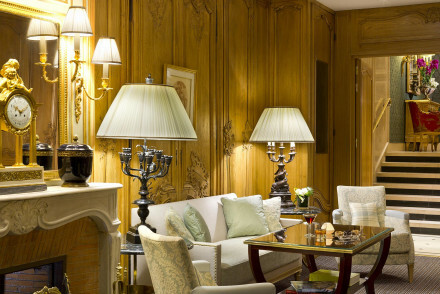 If you thought this list wasn't quite fancy enough, then try our chic list: Chic Paris Hotels. 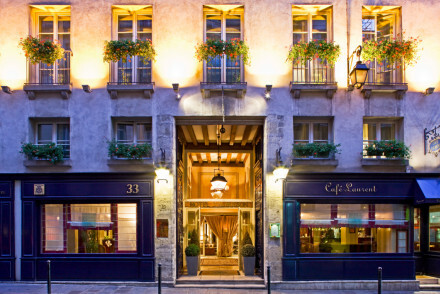 Alternatively take a look at our recommendations for the best hotels in Paris.